In order to handle customer bug reports or feature requests, support teams usually have to forward these emails on to the development team. 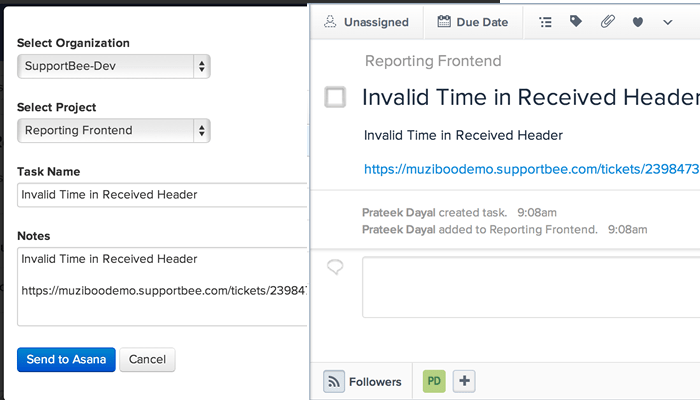 With this SupportBee integration, support agents can create Asana tasks for the development team directly. Tasks created using this app contain the email’s original content and a link back to the email in SupportBee. A link to the Asana task is also posted as a comment on the ticket in SupportBee for reference. To add the Asana app from SupportBee, click Apps in the Admin settings, then add app. Select Asana from the Project Management Category. You will be redirected to Asana where you can authorize SupportBee to talk to your Asana account. Where can I get support? This integration is supported by SupportBee. 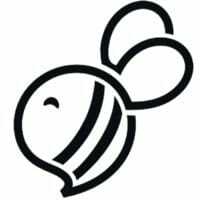 Send an email to support@supportbee.com. Read more: Check out SupportBee’s setup instructions.